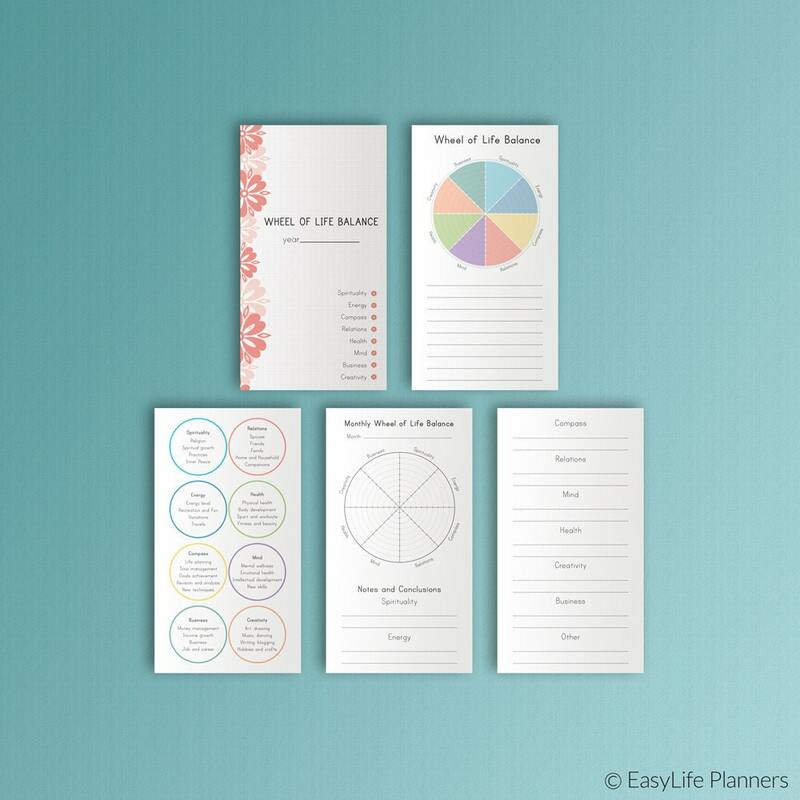 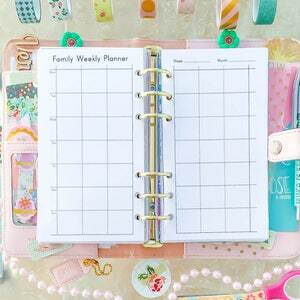 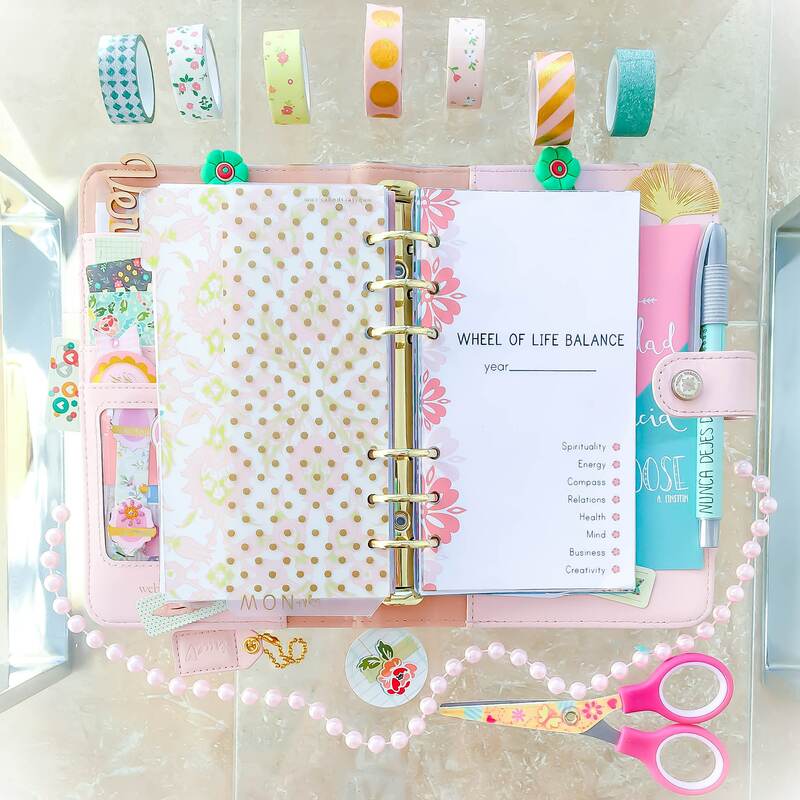 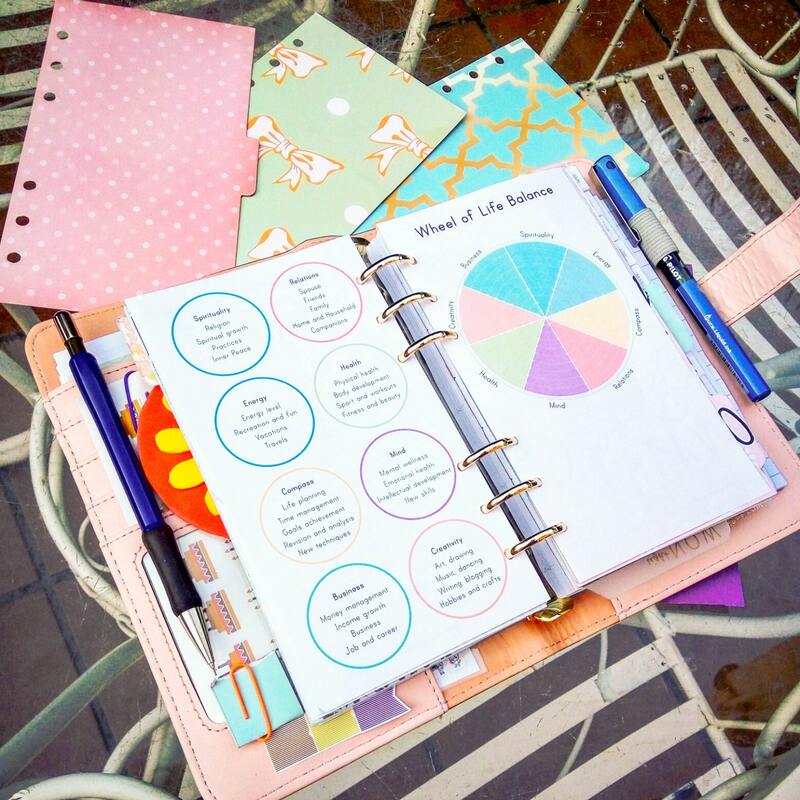 LIFE BALANCE WHEEL Personal Size is a set of 4 printable documents for your personal sized (3.7"x6.7") planner (Filofax, Kikki-K (medium), Kate Spade Planner, Color Crush Planner). 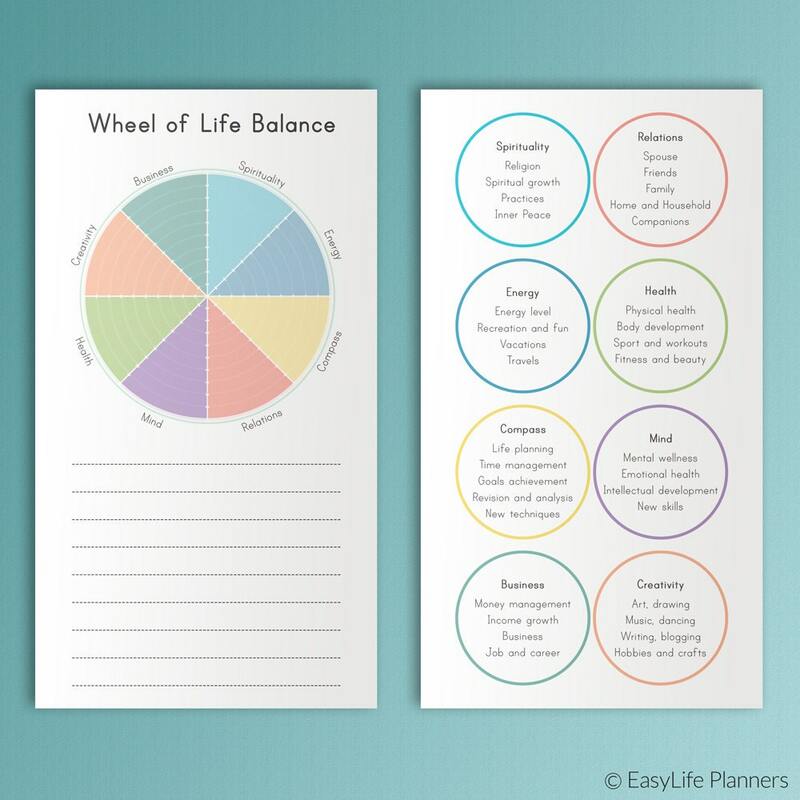 The Wheel of Life Balance is a coaching tool that helps you to see how balanced your life is. 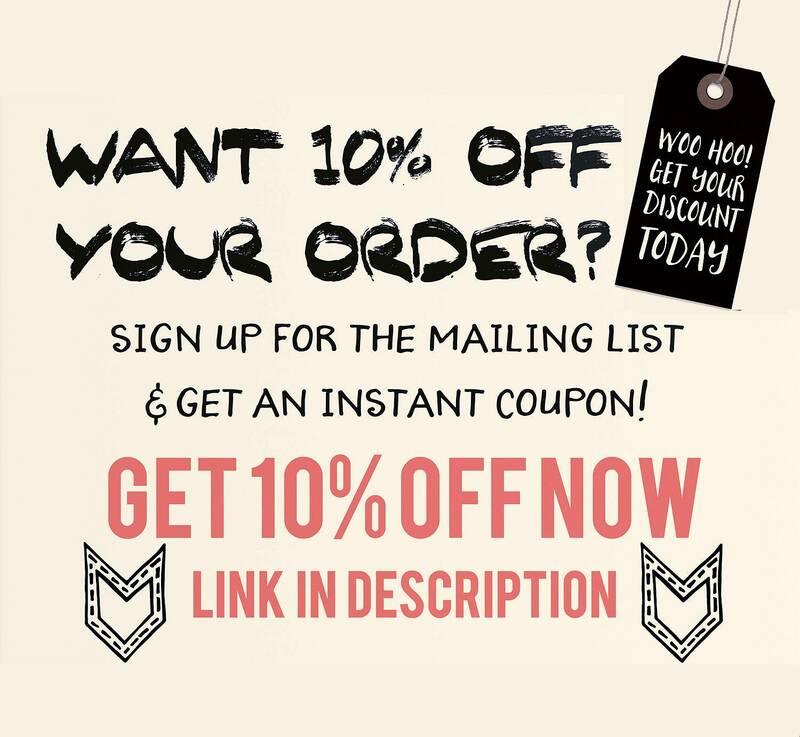 ═ Print one copy of pages 1-3. 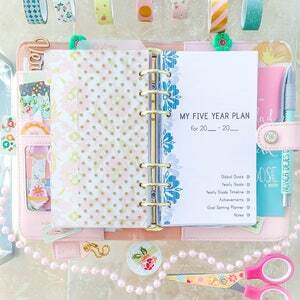 ═ Print 12 copies of pages 4-5 (One copy for each month of the year). 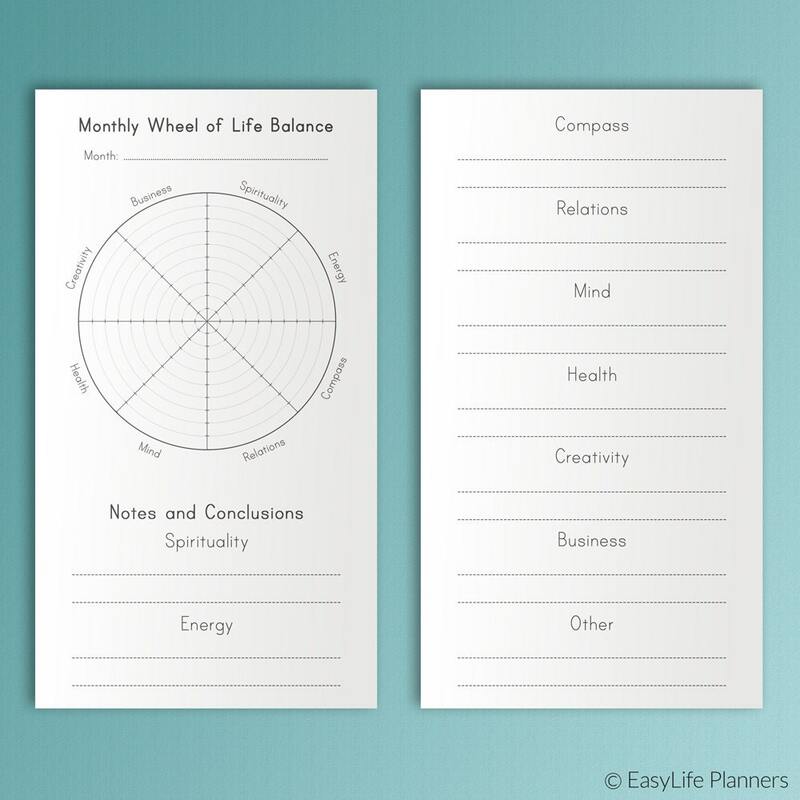 Page 3 - The detailed description of different areas of your life, mentioned in the wheel. 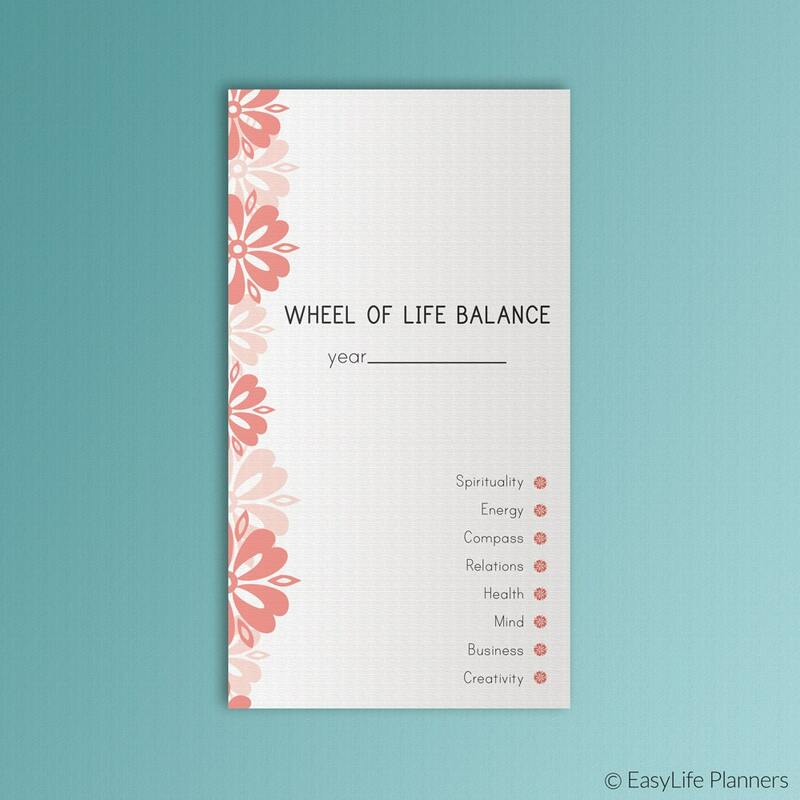 Excellent idea with clear instructions - love them!